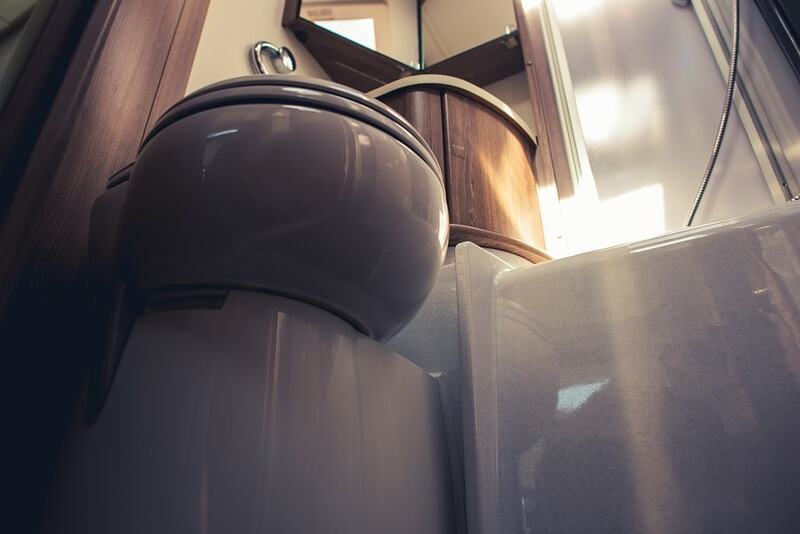 Whether you will be vacationing to the middle of nowhere or staying in your travel trailer, you will need to have power, comfort and convenience at all times. Below we have gathered a list of what we consider to be “must have” items for a new travel trailer. This is essential especially if you will be needing to use high power output. It should be quiet and powerful enough to supply all the power you need to run your Ac or simply to light. Since you are traveling, you have to make sure that the one you choose has an economy mode to save you from running out of power in the middle of nowhere. If it comes with a remote, the better. This will make it easier for you to control it even from a distance. It should also be easy to use with multiple ways of turning it on. Having a generator is not enough if you don’t have backup for when it runs out. So make sure to get a gas can that will have enough fuel for the entire time that you will camping. It is better to be safe than short changed. You never know what will use up your fuel and throw you in a need situation. I recommend the very quiet Honda EU200oi. These will come in handy when you don’t have electricity hook up. For instance, if your generator runs out of fuel or when you simply want to use a low power consuming gadget. You don’t have to run the generator every time; considering some are very noisy. This will help you to use your laptop, charge your phone or watch TV by just connecting this small device. Is it necessary? Yes, you can take advantage of the sun to get power anytime during the day. Besides, if you are obsessed about conserving the environment, this one will come in handy and help you consume less alternative power. It will also save you some cash for more fun and you will never run out of power. For as long as the sun is up, your TV and lights will still be on. Why? It is a multipurpose pot that will serve as a yogurt maker, pressure cooker, slow cooker, steamer and even a rice cooker. Since you are running low on space, you will need this so you can leave the rest at home. It will fix all your meals the way you want them to be. If you love to brew your coffee on the go, don’t leave this behind. You could choose one that doesn’t use electricity but meets your needs. Make it big enough to brew enough coffee for you and your crew. You don’t want your entire space to be filled with utensils. So, make sure the ones you carry are collapsible for easy storage and to save on space.it also makes them less bulky. Since your inner space is small, you might find yourself cooking outside a lot. So make sure you have a portable burner or a grill. You should still be able to enjoy a good piece of smoked meat even in the wild. The more neat your space is, the more organized and more fun you will have. So? Make sure you have plate and bowl holders with you to avoid cluttering all over. If it can fit on one corner, and carry everything, even better. You can order or fit in custom drawer organizers that will be big enough to accommodate your items. This way you can neatly tuck them in and be sure of not losing anything. Hanging your clothes high will not only keep them neat, clean and ironed, but it will also give you more space below to store your shoes or stock some comfortable seats. You could also use them to hang dripping clothes to make them dry faster. This will ensure that you have internet signal with you at all times. You will still have the internet speed you desire at low cost. What’s more, this will allow you to save on mobile data that you consume since it can boost public WIFI from distance and maintain its power. Just like the name suggests, this will boost your signal and make you reachable. You don’t need to start looking for a mountain or a tree to climb to get good network reception. With a mobile hotspot and signal booster, your communication is covered for the whole travel. You will not enjoy watching TV if you find yourself at places without good signal. Solution? Make sure you have your aerial booster for such days. Some people even go with their satellite dishes. This way, you will stay updated on what is going on in the country or just stay entertained watching your favorite show. If you love your movies and series, don’t trade that for anything. Ensure that you have a DVD player at your service. This will suffice especially when there is nothing exciting on TV. If you love your music, having a portable radio is the answer to adding rhythm and tune to your travel. You can listen to conversations or simply play a collection of your favorite playlist. So, whether you want to be lured to sleep, pampered, encouraged or revved up with energy, some good music will do that for you. If it runs on batteries, the better.it will serve you all through. Are you and your kids or spouse game addicts? Who said you can’t play while traveling? If this is an important part of your fun life routine, you don’t want to feel robbed on your new travel. Pack your play station or chessboard nicely and be ready to play. This is for cleaning your floor and carpets. Make sure the one you have is light and easy to use. It should also be flexible enough to clean hidden spaces between furniture. There will be food spills, dirt from the shoes walking in and out of the trailer or just litter from your snack wrappings. How much do you love a stale environment? It will just ruin your travel. You are definitely going to use your toilet and the only way to keep it clean and odor free is by investing in a good cleaning chemical. One that kills bacteria and deodorizes is the best; considering you space will be small. As important as it is in your house, you will also need to buy one to complete your must have accessories for your new trailer for travel. Nobody like the view of sticky business on the walls of the toilet bowl. Make sure you have a toilet bowl brush to deal with that. It is a good investment. What do I need that for? Simple, for keeping grit, dust and mud outside your trailer while walking in. Having one that is big enough, durable and easy to clean will not only pimp your new trailer from outside. It will also make your inner cleaning easier but ensuring that most of the dirt is left outside. You will need this for convenient and efficient movement of water. Investing in there is the best way to go. One for clean drinking water to ensure that you can access clean water anytime you want it. The other one should be a sewer hose for sprinkling black water and maybe third one for your shower head. Don’t just buy water hoses, you don’t want to have them mixed up and end up using them interchangeably. So? You can purchase them in different colors to avoid being caught up in the mess. Also, ensure that you invest in on that are durable and long enough for convenience. You could even go ahead to buy a collapsible hose for easy storage. Don’t forget a dump hose that is well angled, properly fitted, durable and long enough for dumping tanks. Without this, you water business will be stressful. You will need to connect it to the end of the hose for easier and faster water filling. You need to save your time for more fun things on travel. Dealing with water messes and leaks can ruin your fun travel. You therefore need to invest in a good water pressure regulator that goes between your trailer and fresh water hose. It will also ensure that you get your water at a good speed. There is one that comes with your new trailer but if you love your sleep, you won’t settle for that. The factory made mattresses are normally rigid, thin and of poor quality. Try to invest in a good mattress that meets your needs. One that can sustain your weight, pamper you and allows you to experiment with whichever shape you want. A complete bedding package must have comfortable bed sheets and a pillow. Don’t leave without them. In fact, you don’t have to buy new ones; you can use the ones you use at home. As long as they are comfortable, perfect color for you and a good size. If you love resting your head, don’t forget your pillow. Whether it is just a corner guard to protect you from hitting your head, a fire extinguisher or carbon monoxide alarm for fire issues that may arise, a mini paper shredder or a portable dehumidifier. Anything that spells safety will protect you from harm. Some of them include. Whether you will be sleeping or just walking around in the forest, an insect repellant will protect you from falling prey. Protect your skin and health from mosquitoes, tsetse flies and who knows what other insects you will meet on your travel. As good as a sunscreen will keep your skin protected, so will an insect repellant. A good mosquito net will also spare you from mosquitoes at night. If you hate chemicals, then this is the best solution for you. Besides bugs you should also be wary of little critters trying to make a new home out of your camper. Read this post on how to keep mice out. If you find yourself camping at a place with poor reception, you might not know what weather changes to expect. From storms to hurricane extreme wind, tornadoes, thunder and lightning, you need to be informed in order to prepare enough and be safe. Sometime you cannot be reached on phone or watch television. On such occasions, a weather alert radio will suffice. It covers 93 percent of USA. Accidents happen all the time because of deflated tires. Make sure you have a tire pressure monitoring system to ensure that you always act before the worse. You might also have to carry extra tires just in case you have a burst or tire damage. Anytime you are traveling you must be cushioned against all unexpected situations. This will give you peace of mind allowing you to have fun without stress. From road accidents to being injured, a good and affordable travel insurance will cover you in case of anything. You never know; you could cut yourself, bruise a little, nosebleed or be involved in accident. Sometimes you could be very far away from chemists of medical facilities? What do you do? If you have your first aid kit with you, you can quickly fix minor injuries and discomfort. Your trailer might be brand new but that does not mean you will not get a few glitches along the way. The fact that it is moving makes this most probable. So you have to be ready for those moments by ensuring that you have a repair gear handy. A roof repair tape for fixing holes that could let your inside wet when it rains. You could also use it to fix hoses and fuel lines in case of leaking. An axe or shovel for splitting up wood or scooping something in the wild will not harm you. Electrical lapses just happen without warnings. This is not an excuse to stay in the dark. Throw in some fuses, wire connectors and electrical tape for such repairs. Something as simple as a cordless drill will save you in many ways. You could use it to wash cloth in a bucket, finish some repairs or to fix stabilizers. You might also have problems packing your trailer on uneven ground. This could cause damage to your fridge or freezer or just cause an unwanted tilt. What do you do? If you have a bubble level stacked somewhere in your trunk, you can use it to get the balance you want. In case you find yourself using water from sources you are not sure about, this will help you regain confidence. It will filter and purify your water to make it safe for drinking and cooking. You don’t want to catch diseases while on travel. You will enjoy yourself more if you have the best and comfortable ways to wind down. Whether you are taking a break off the travel to read a book or catch a meal, camping or foldable chairs will come in handy. You could also throw in some hammocks for swinging the afternoon away in luxury. Just because you are traveling on your new Trailer does not mean the night will spare you. You have to prepare for moments when you don’t have light or have to step out in the dark to check on something. For indoors, you will need to throw in some lighting candles. Also, consider packing some headlamps or torches that will help outside your trailer. They will help you to do repairs easily at night and make your walking path more secure. Make sure it is of high quality and durable to avoid inconveniences. These are just the basic must have accessories that for a new travel trainer. It is not exhaustive but with them you will barely have the ‘I forgot to pack’ moments. The point is to make your journey as homey and functional as possible in the most minimalist way. The space is limited so you might not be able to carry your whole house .Just make sure you carry all your comfort tools and enjoy your trip.